So happy to be able to share this with you!! In just three days a new ttq series is launching!!! Family Secrets is, first and foremost, intense, emotional fiction! It's the name of a national reality cooking show. And every single story in the series revolves around a family secret!! More good news...they're coming to you fairly quickly! Book two, Her Soldier's Baby is out in November. And book three, The Cowboy's Twins is out in January! Mostly what I can say about this series is that the people who have worked on it are talking about it. One of the books has inexplicably drawn three of us in to the point of mentioning it to each other. Maybe that doesn't sound so odd, but I write emotional stories. The team that works on them is pretty used to that! This first book is especially personal to me. In it you meet Dawson. He's four years old and has Down Syndrome. To some, this sounds like a handicap. In my world it is not so. I have a very very special nephew who also has Down Syndrome. From the moment I held him as a new baby, he brought a striking joy to my heart. He turned ten this summer and that feeling has not changed. When you're with him, you feel like you're in the presence of an angel. Not that he's always an angel. He's all boy. But he's got a way of looking at the world that makes things clear. You know what matters, and you know what doesn't! For Love or Money is dedicated to him. As a bonus...because this series revolves around contestants from a cooking show, you get to read about a lot of great food with recipe hints thrown in! 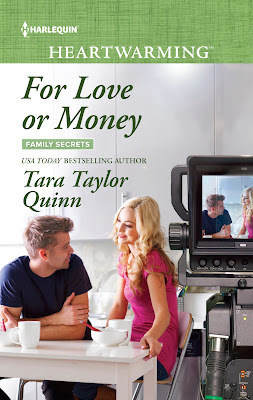 If anyone is interested in reviewing this and other ttq books, please drop me a line at staff@tarataylorquinn.com! 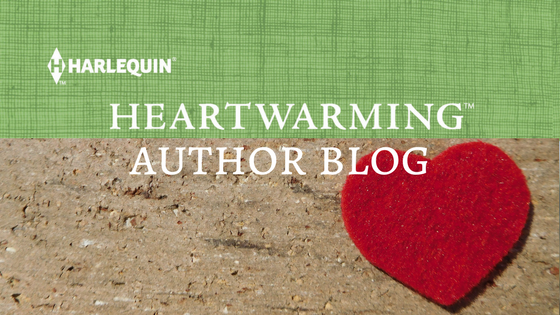 Or to hear all the latest news about giveaways and upcoming releases feel free to join my mailing list! Your story sounds wonderful, Tara! As a kindergarten teacher for 17 years, I've had the pleasure of working with some amazing little people that others see as handicapped. After working with these kids, I think we may be the ones who are handicapped. If only we could all see the world like they do. Especially DS kids. As Mary Poppins would say, they are practically perfect in every way. Yes they are!!! Perfectly said! Congratulations, Tara! Lovable little boys, emotional secrets, and wonderful resipes - sounds like a winning combination to me. The best thing is that you've created something you're so proud of, and those around you are feeling the same magic. I didn't get that, but thank you for point it out!!! Now I do! Tara, I don't know how I missed seeing your post the other day. The books sound great. I'll be glad to see the story of a Downs child. When I lived in Washington State I helped start a school called: The New School For The Special Child to help give mom's of Downs children some away time. The school is still running and I have a friend who is now on the board. The children who attend the school make remarkable progress.